HTMLDOC is a program that reads HTML and Markdown source files or web pages and generates corresponding EPUB, HTML, PostScript, or PDF files with an optional table of contents. HTMLDOC is provided under version 2 of the GNU General Public License. Encryption: HTMLDOC currently supports the older (and very insecure) PDF 1.4 (128-bit RC4) encryption. I am investigating supporting AES (256-bit) encryption. Forms: HTML forms and PDF forms are very different things. While I have had many requests to add support for PDF forms over the years, I have not found a satisfactory way to do so. 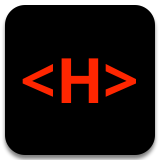 Tables: HTMLDOC supports HTML 3.2 tables with basic support for TBODY and THEAD from HTML 4.0. Unicode: While HTMLDOC does support UTF-8 for “Western” languages, there is absolutely no support for languages that require dynamic rewriting or right-to-left text formatting. Basically this means you can’t use HTMLDOC to format Arabic, Chinese, Hebrew, Japanese, or other languages that are not based on latin-based alphabets that read left-to-right. Emoji: The fonts bundled with HTMLDOC do not include Unicode Emoji characters. My focus is on addressing security, build, and formatting issues and not on extending HTMLDOC to support CSS or full Unicode.